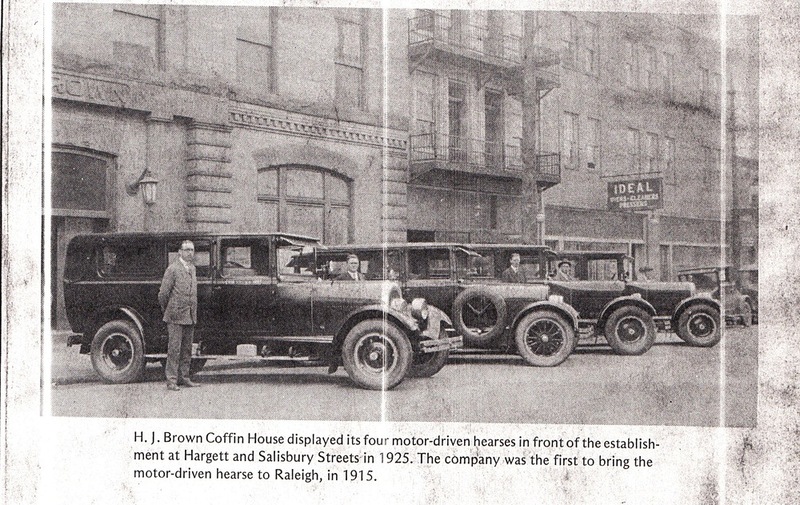 Built in 1909, this historic building was originally home to the HJ Brown Coffin House, and later the Raleigh Industrial Bank. 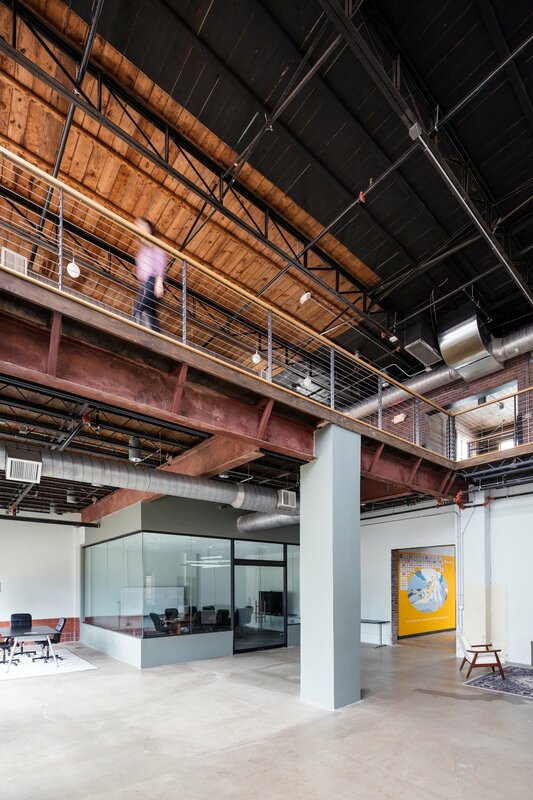 James Goodnight purchased the property in 2012, and Maurer Architecture began the three year design and renovation process. 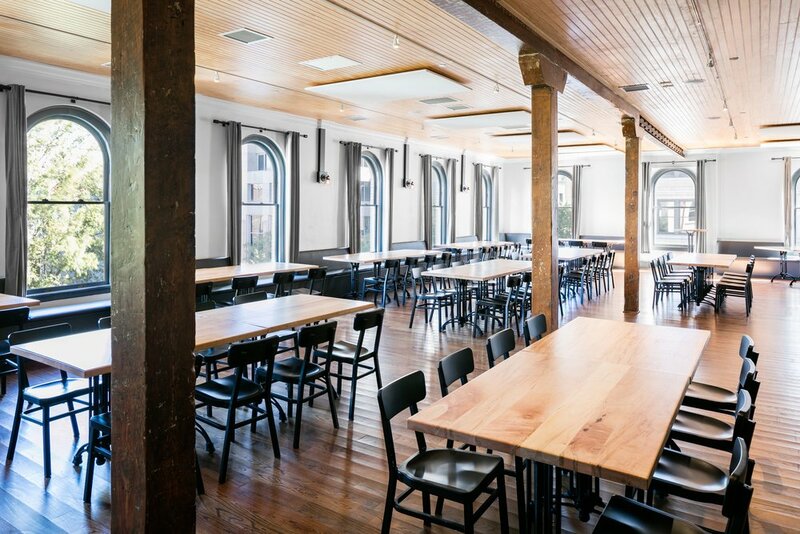 The building was recently completed, and is now home to a restaurant, bar, and event space. 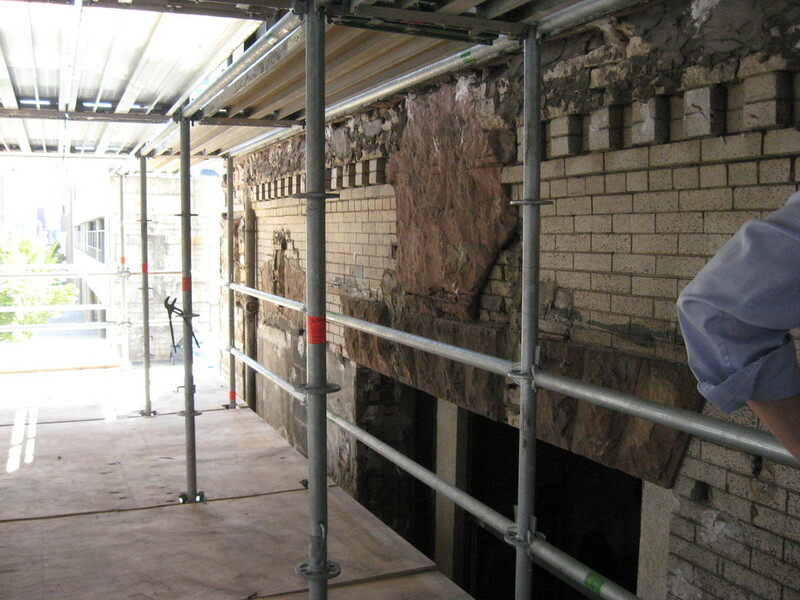 This project was awarded the NC Main Street Award of Merit - Design: Best Historic Rehabilitation Project. 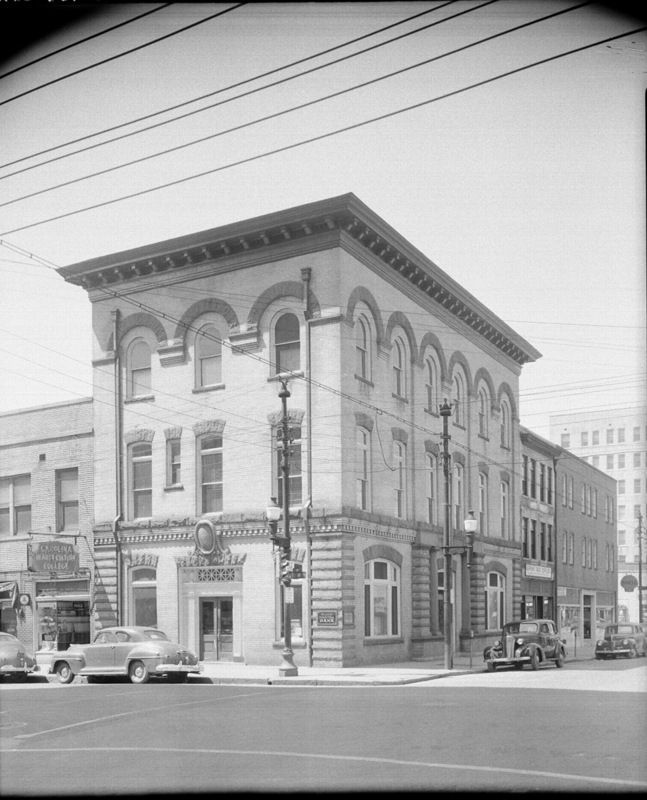 The former home to the Goldsboro Drug Company was built in 1885. 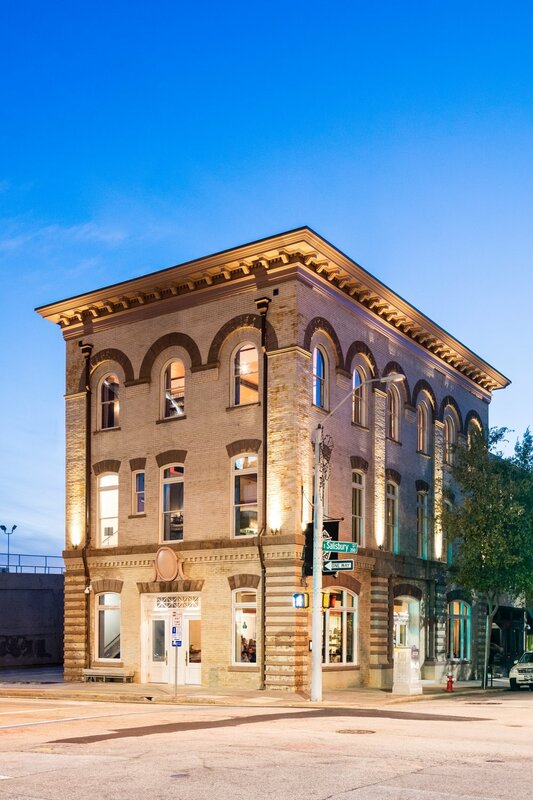 Our work on the building included a full facade restoration and a new floor plan which provides restaurant seating downstairs and transforms the previous second story storage area into two new residential units. This project was selected as the recipient of the 2017 Gertrude S. Carraway Award of Merit from Preservation of North Carolina. 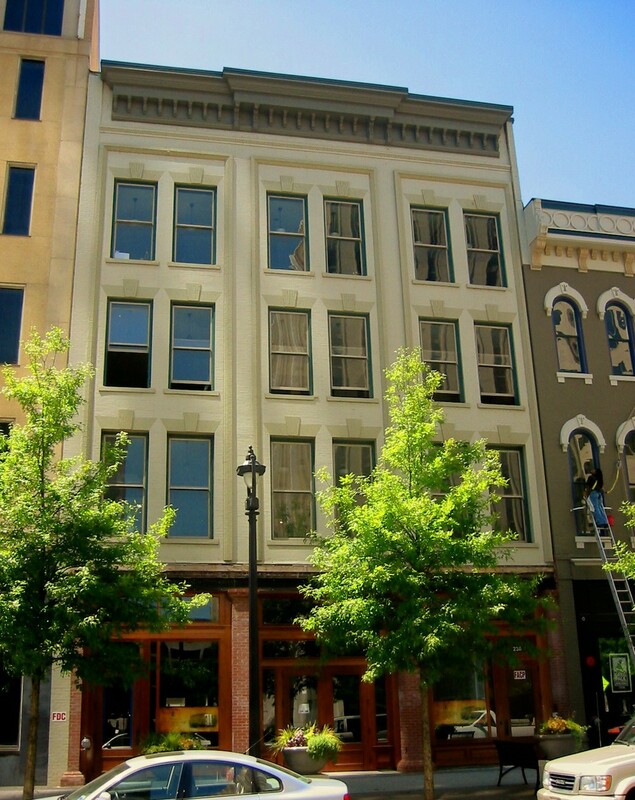 This project was awarded the NC Main Street Award of Merit - Economic Vitality: Best Endangered Properties Rescue Effort. 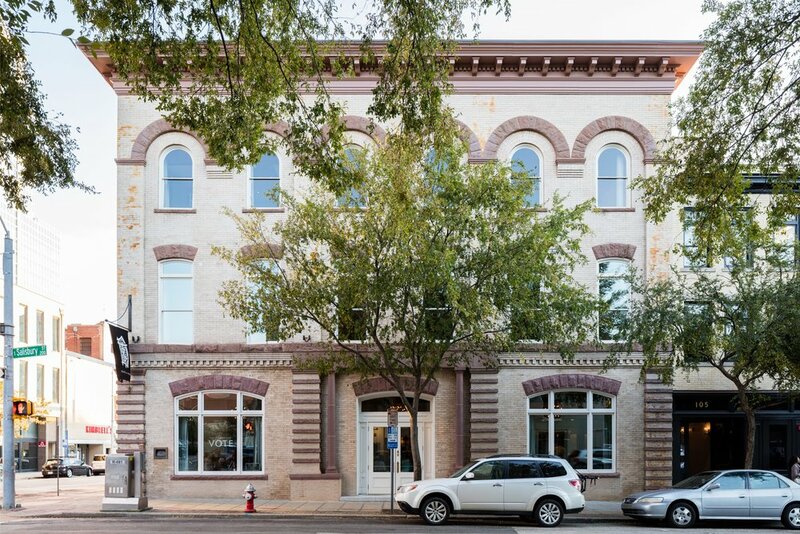 This project was awarded the NC Main Street Award of Merit - Economic Vitality: Best Endangered Properties Rescue Effort.Historic tax credits were utilized in the restoration of this two story, three-bay building, which was gutted by a previous owner. The original tin ceilings and wood floor were intact throughout parts of the building. 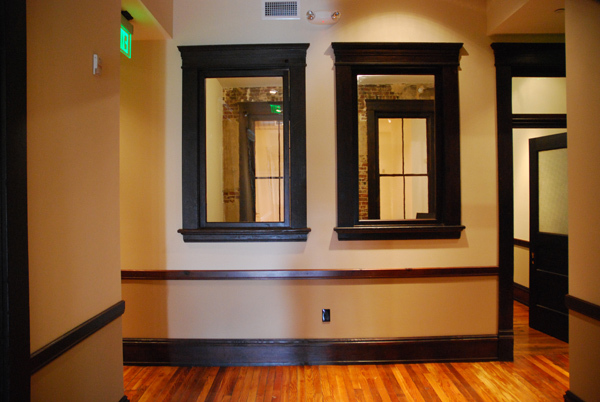 The storefronts and existing historic double-hung windows were refurbished. Upstairs there are five apartments. Downstairs is a bar and homebrew supply shop. 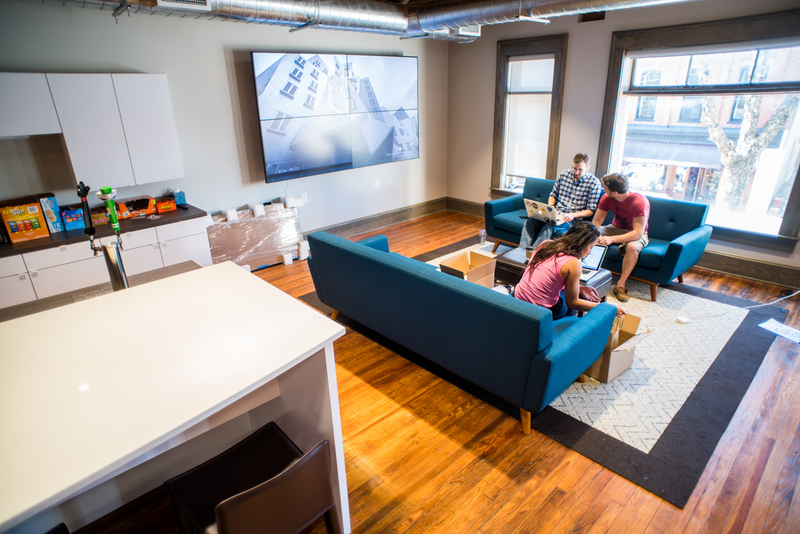 This tax-credit project in historic downtown Goldsboro involved the renovation of second floor offices into residential units. All historic doors and windows were either re-used or incorporated into the new design. The historic Smithfield Masonic Lodge, which was built in 1857, has stood vacant for many years after withstanding a relocation and fire. The building now rests on a new foundation at its current location. The interior of the 2,000 building features original hardwood floors. The second floor of the Lodge features a barrel vault ceiling that spans the full length of the building. 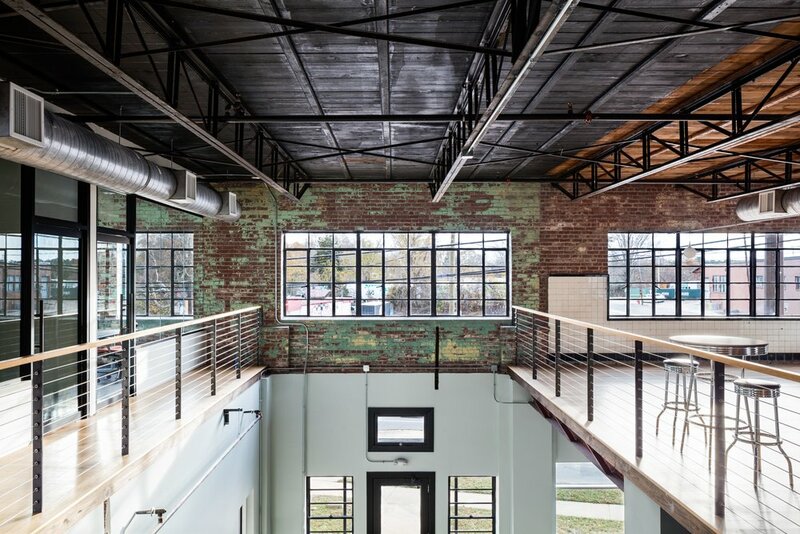 Maurer Architecture has restored the 150 year old building to its 1917 form by removing any unoriginal elements, such as interior walls, wainscotting, entryways and fixtures. Raleigh's fourth fire station was constructed in 1924 to serve the surrounding neighborhood. 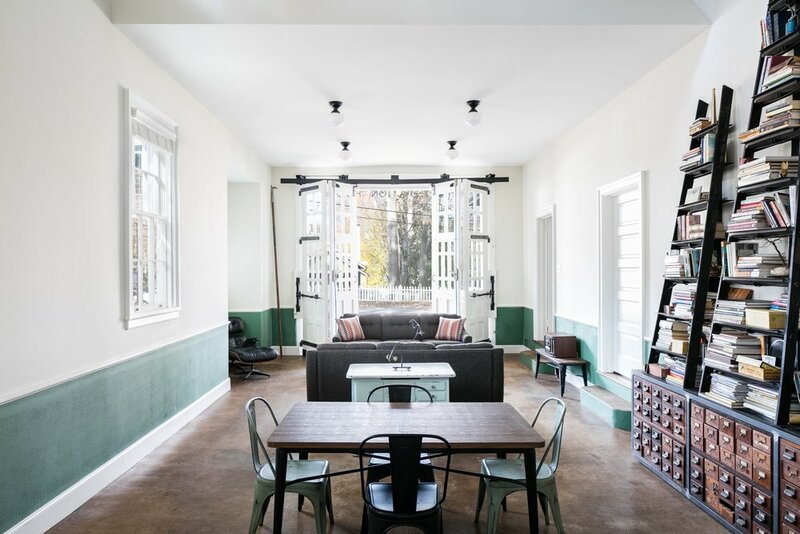 After standing vacant for decades, the station is now fully restored and has been transformed into a single-family residence. 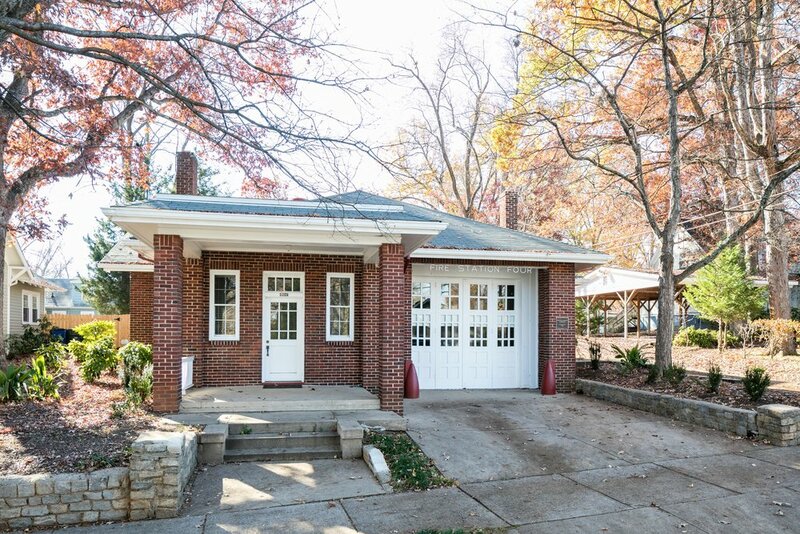 The original floor plan remains largely intact, with the chief's bedroom serving as a new master suite, and the truck bay providing a large open kitchen and living space. This historic southeast Raleigh residence dating from 1910 was moved to its new site in the Prince Hall Historic District. A new interior layout and rear addition was designed for the residence. The house is 1000 sq. ft. and occupies a great room in the front, along with two bedrooms and two bathrooms. 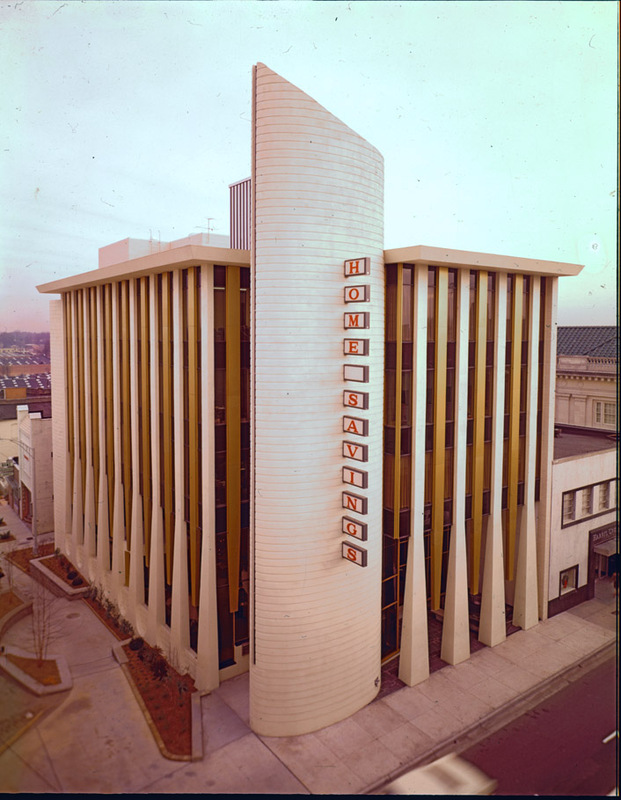 The design had to go through a Certificate of Appropriateness application process and was approved by the Raleigh Historic Development Commission. This project was awarded the NC Main Street Award of Merit - Economic Vitality: Best Endangered Properties Rescue Effort. 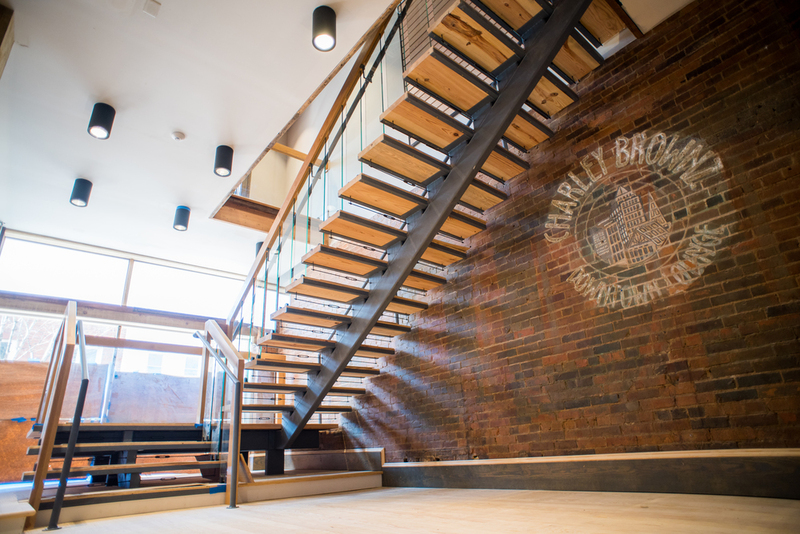 Historic tax credits were utilized in the restoration of this two story, three-bay building, which was gutted by a previous owner. The original tin ceilings and wood floor were intact throughout parts of the building. 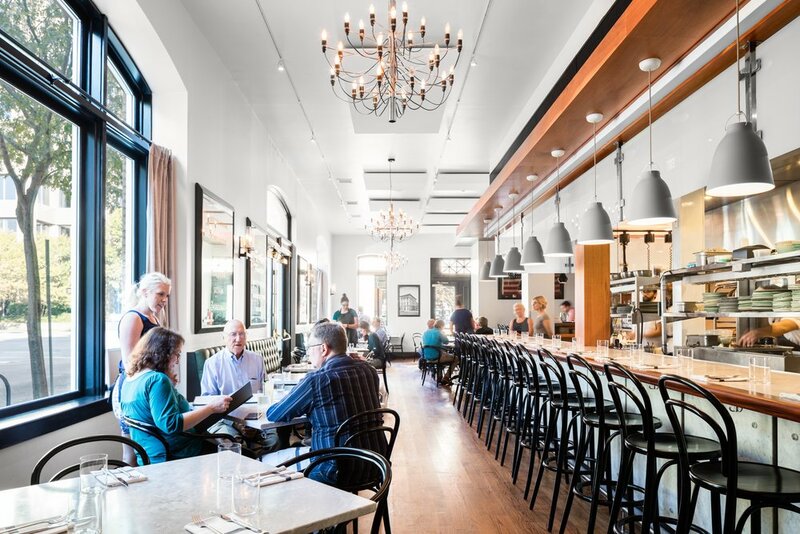 The storefronts and existing historic double-hung windows were refurbished. The five apartments are located upstairs. Downstairs is a bar and homebrew supply shop.